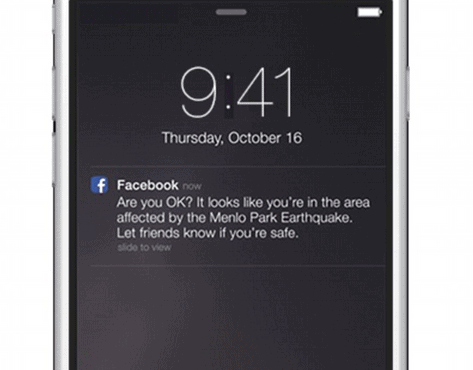 Facebook is going to launch a new tool called ‘Safety Check’ that will allow its users to tell their friends and family that they are safe during or after natural disasters. The tool will be rolled out globally by the company for its 1.32 billion users on Android, iOS and desktops. The most remarkable point is that even the feature phones will have this feature and so people in developing countries will also be able to take its help if in case. As far as the working of the tool is concerned, once you activate it, it will be able to find out the users location using the city they have listed in their profile, or the city where they used the Internet last or the last location they shared online. They will be getting notification from Safety Check as to whether they are safe or not, if they are in an area affected by a natural disaster. And, whatever would be the users’ response, it will be notified to their friends and family present on their Facebook Account.